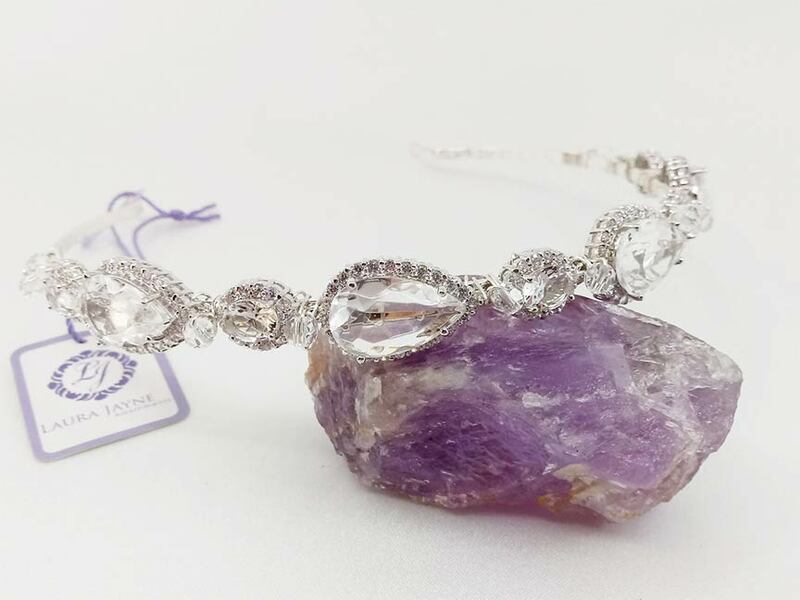 Pear CZ Headband | Large pear cut CZs set with oval and brilliants. 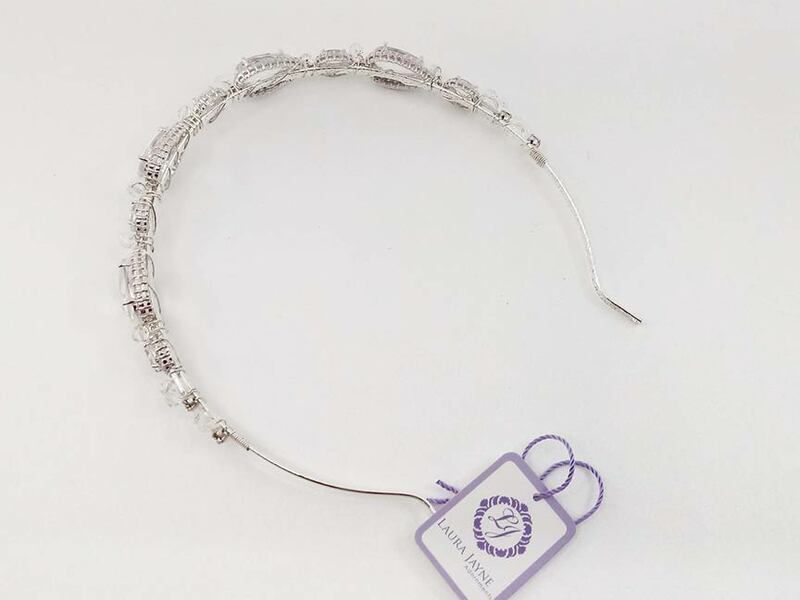 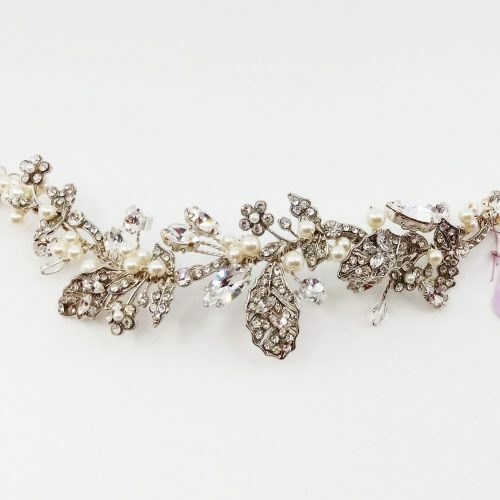 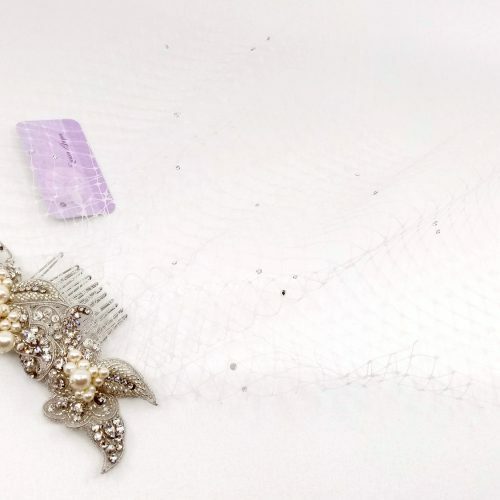 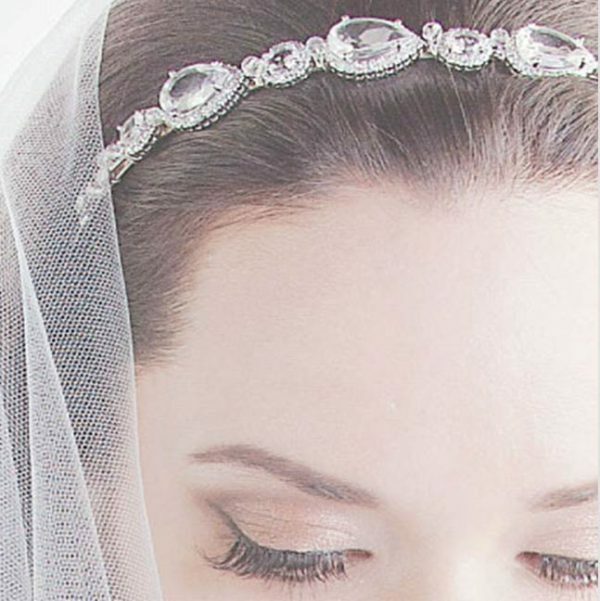 Large pear cut CZs set with oval and brilliants create a beautiful headband for bridal or special occasion use. Never worn.